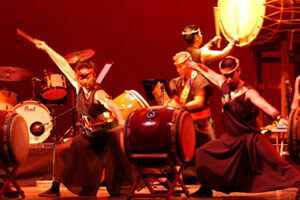 NewMusicBox has published an article I wrote about the 2011 North American Taiko Conference at Stanford University. Along with a conference overview and a brief history of kumi-daiko, I focus on new music created for taiko. Two quotes that continue to resonate with me are “innovation is tradition” spoken by numerous people throughout the conference, and “work is both a verb and a noun” spoken by Stephen Sano, professor and chair of the department of music at Stanford University. Considering work as both a process and a product, as a way for new music to continually rearrange for multiple performance contexts, provides a sustainable approach that the taiko community, even though nascent, offers to musical groups in America and beyond. Check out the article at NewMusicBox.